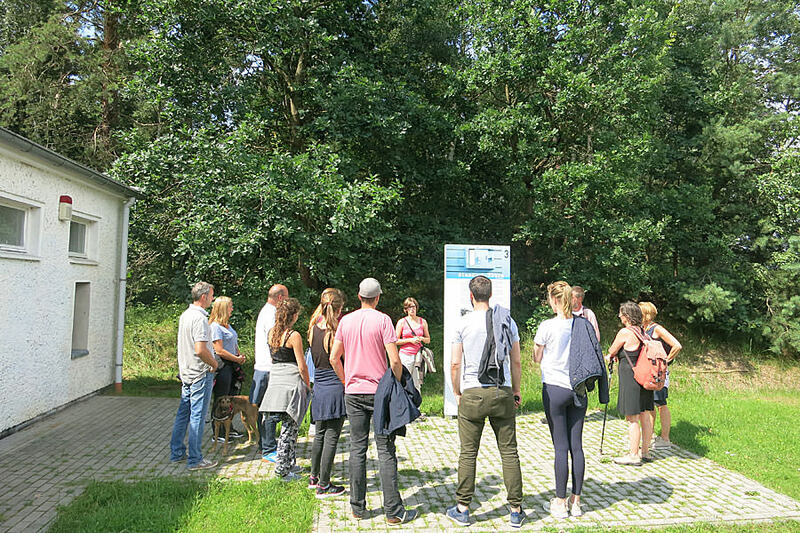 Educational opportunities – PRORA Zentrum e.V. 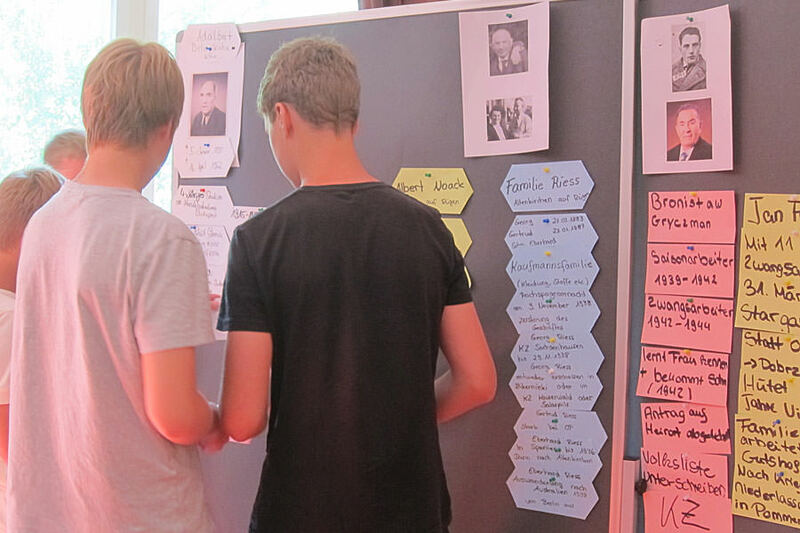 The PRORA CENTRE offers groups a range of topics concerning the National Socialist and GDR eras. The historic place of Prora or the region are the starting points for educational opportunities. Examples of larger historical relationships are illustrated here. Additional subject matter or a focus on specialised aspects may be agreed upon as requested. Depending on the time allotted and the level of interest, we offer various educational formats throughout the year. Depending on the time allotted and the level of interest, we offer various educational formats throughout the year. take between one and two hours depending on the desired methodology and content. 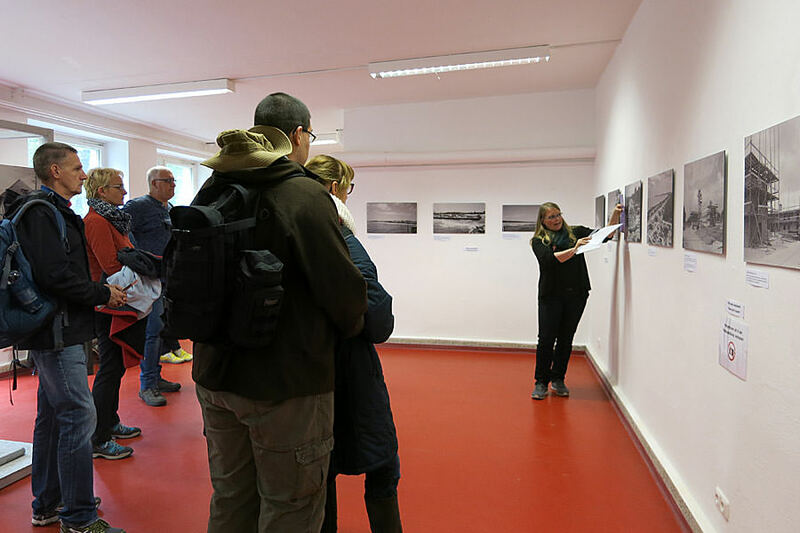 Participants will be guided around the site and historical visuals will be provided in order to vividly tell the story of Prora during the National Socialist and GDR eras, as well as to explain current developments. An exploration of the premises on a bicycle may be done as a veritable “moving history”. (Youth hostel guests may rent bicycles from the hostel for a fee). are done in a three to five hour time frame. 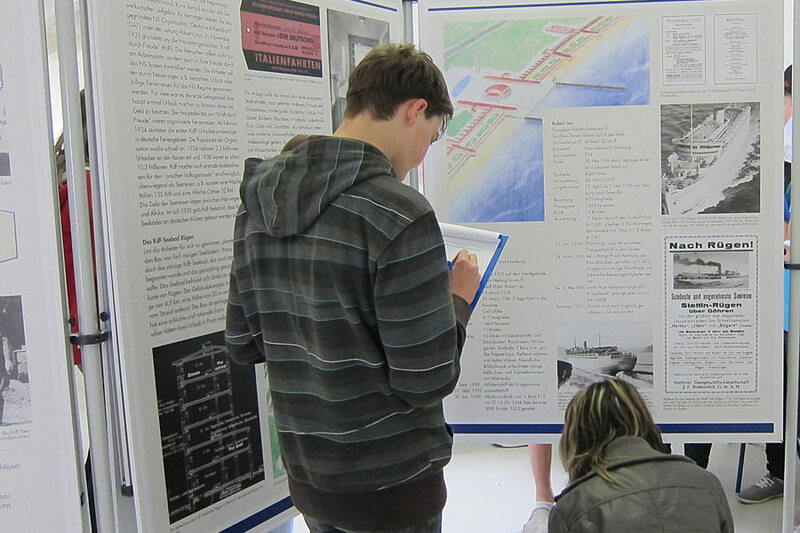 A selected historical aspect is focused on, and this will relate to the history of the Prora site. The materials and methodologies depend on the structure of the groups and their interests. offer the opportunity to delve deeply into historical topics. In multi-day seminars, excursions of the surrounding area may be integrated. From March/April to October, the Prora Youth Hostel is open for meals and overnight stays. 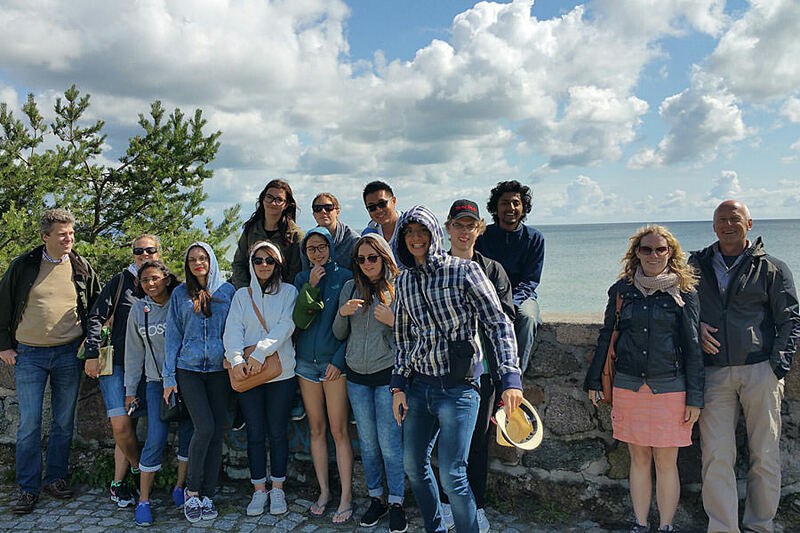 In the winter, the Binz Youth Hostel is available. 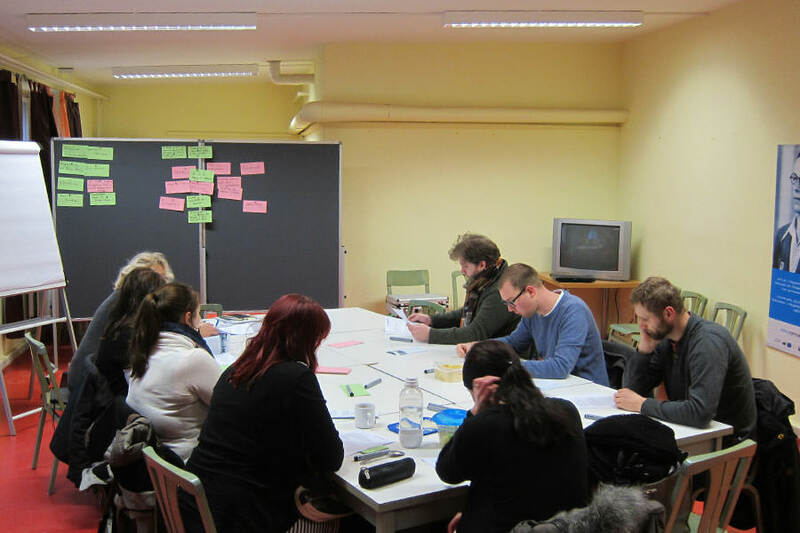 The PRORA CENTRE has many years of experience in doing historical-political educational work and since 2001 it has been recognised several times for its projects, including by the Federal Agency for Civil Education. 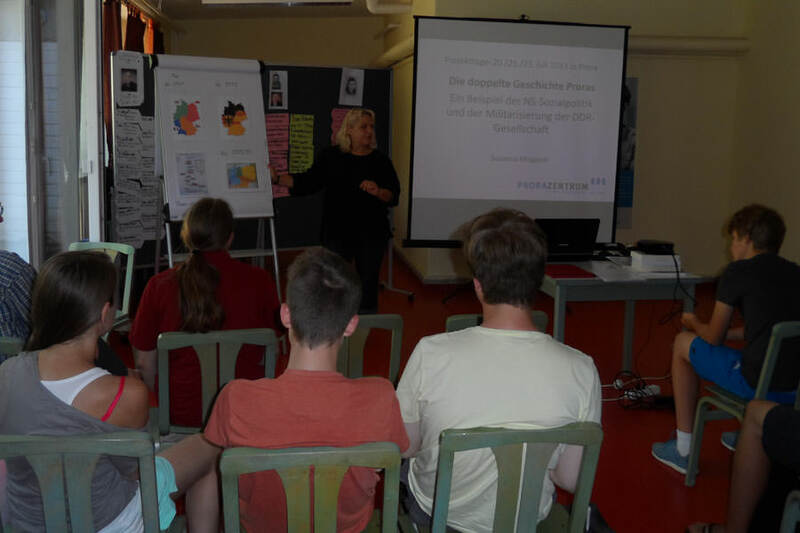 The aim of this educational work is to involve adolescents and adults by engaging with the regional history of Prora, and the island of Rügen and Mecklenburg Vorpommern in order to enable them to grasp, analyse and make sense of greater historical relationships. With this aim, we design our educational offerings in an age-appropriate manner and in close consultation with the groups themselves. Special interests and needs may thus be considered in the planning and implementation of projects and seminars. historical content in a self-determined and creative manner. In light of Prora’s past, democracy education is important to us. In addition to providing a overall context for history, we want to encourage people to think about society and their role within it. The prices for the educational programs offered depend on the size of the group and on the type and size of the project. 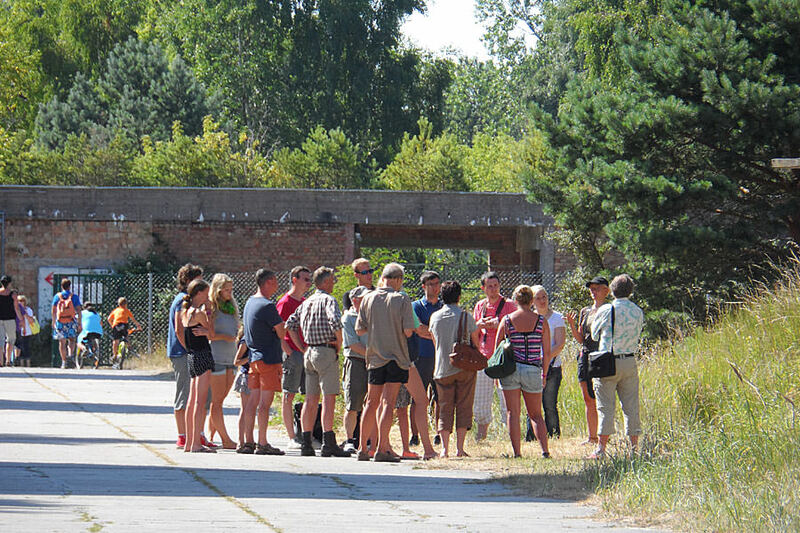 If you are interested in coming to Prora with your group for a guided tour or for a project, please contact us! We look forward to working with you in order to develop a tailored service for your group! Contact details may be found at the bottom of the homepage, you can also use the contact form on this page. A summary of the most important information regarding our educational offers may be found in our current flyer.